Title: 'A View of London as it appeared before the dreadful fire in 1666''. 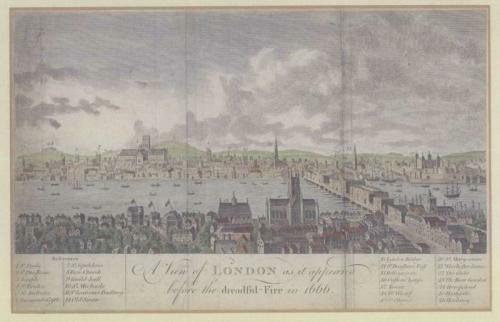 A detailed panorama of old London with a wealth of detail and descriptions. In very good condition - with old fold lines.